Performance Electronics’ PE3 fuel injection and ignition engine control unit has been adopted by SCCA Enterprises for their new Spec Racer® Ford GEN3 engine. Performance Electronics’ PE3 fuel injection and ignition engine control unit (ECU), has been adopted by SCCA Enterprises for their new Spec Racer® Ford GEN3 engine. The GEN3 engine is the newest development for the historic Spec Racer® Ford (SRF) vehicle. Manufactured by SCCA Enterprises, the SRF is an enclosed wheel, open cockpit, purpose-built race car. With almost 900 cars delivered over the last 30 years, the SRF is the largest purpose-built racing car class in the United States. Slated for full adoption this year, the new GEN3 engine package boasts many performance enhancements including the PE3 ECU. 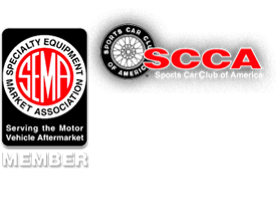 While racers are often looking to gain a competitive edge using stand-alone ECUs to realize peak performance, this new relationship with SCCA Enterprises uses the PE3 technology to actually level the playing field. The SRF rules dictate that no performance enhancing modifications, other than suspension adjustments within described parameters, can be made to the car. Therefore all tuning with the PE3 ECU is performed by the factory. All GEN3 engines are tuned for optimal performance using the PE3, and are then sealed to prevent any future modifications, ensuring all cars are the same. With this standardization, what keeps a team competitive in the SRF class is their driver’s ability during a competition, not the ability of the team to fund investments in never-ending design enhancements. Founded in 1999, and based in West Chester, Ohio, Performance Electronics, Ltd (PE) is an engineering firm specializing in the design and manufacture of embedded electronic control systems for racing and a broad range of other applications and industries.